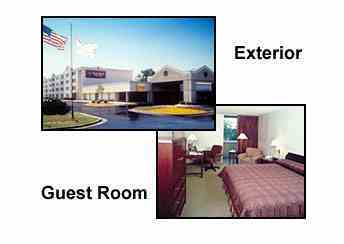 Executive hotel, located 5 minutes from Chicago O'Hare International Airport and 25 minutes from downtown Chicago. Guest rooms feature contemporary decor and feature a balcony, individual climate control, work area with desk and lamp, coffee/tea, nonsmoking and ADA approved rooms available, remote control color TV with cable, Pay Per View movies, and Sony Playstation, direct dial telephone with modem/data port connection and voicemail, iron and ironing board, complimentary USA Today newspaper (Monday through Friday), alarm clock radio, and hair dryer. Hotel amenities include complimentary airport shuttle, outdoor swimming pool, fitness center, laundry/valet services, complimentary parking, gift shop, 2 complimentary mini-meeting rooms, 24 hour self service business center, work stations, personal harbors, activity tables, safety deposit boxes, restaurant, room service, a lounge, complimentary local calls, Pizzeria Uno, and Hilton Honors. The hotel is only minutes from dining, shopping, and entertainment. Note that not all room types may be available for a specific date of stay. Copyright 1998, Hotel Discounts, Hotel Reservations Network, All rights reserved.